Ahead of a campaign visit Wednesday to Utah, Democratic presidential candidate Elizabeth Warren outlined a broad plan for protecting public lands and national parks that included a promise to restore the state’s Bears Ears and Grand Staircase-Escalante national monuments if she is elected in 2020. Supporters of the monuments are currently engaged in a legal battle to restore the Bears Ears southern Utah monument, set aside in 2016 by former President Barack Obama, to its original size. The Bears Ears and Grand Staircase-Escalante lawsuits have been administratively consolidated into two cases — one for each monument — that are currently pending in U.S. District Court in Washington, D.C.
Top Utah politicians — from Gov. Gary Herbert to the senior members of the congressional delegation to the Republican-controlled Legislature — celebrated Trump’s executive order shrinking the monuments. The tribes that proposed the monument and several other groups allege presidents don’t have legal authority to shrink monuments designated by their predecessors. Advocates for the downsizing have argued presidents should set aside only the smallest area necessary to protect important resources and note that other monuments have been changed in the past. 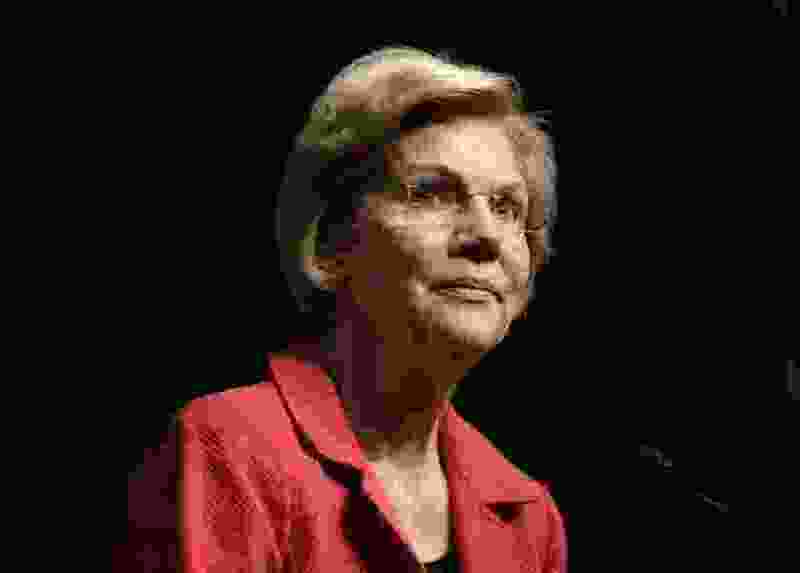 Warren, a Massachusetts senator known for her populist message and focus on income inequality, is scheduled to host an organizing event at The Depot in Salt Lake City on Wednesday at 6 p.m. She is the third and most well-known of the Democratic candidates to visit this red state so far. Julian Castro, the former secretary of Housing and Urban Development, and John Delaney, a former Maryland congressman, previously made campaign stops in Utah. While not all of the policy positions outlined in her public lands agenda Monday ahead of her visit specifically mention Utah, many would greatly affect the state, where about two-thirds of the land is federally owned. Warren pledged to sign an executive order on her first day as president to put a “total moratorium” on all new fossil fuel leases on public lands. She says she would reinstate a methane pollution rule to “limit existing oil and gas projects from releasing harmful gases that poison our air,” reinstate a clean water regulation and work to provide 10% of the country’s overall electricity generation from renewable sources offshore or on public lands. To address what she sees as “poor stewardship” of public lands due to a lack of funding, Warren also says she would fully fund public land management agencies, eliminate maintenance backlogs and restore crumbling bridges and roads in her first term. Additionally, Warren wants to make entry into the parks free for American taxpayers — a proposal she says would increase access to public lands and strengthen the national economy. Warren is one of more than a dozen declared Democratic presidential candidates for 2020 and is one of the Democratic Party’s highest-profile figures. She is scheduled to appear in Denver on Tuesday and come to Salt Lake City on Wednesday as part of her multistate campaigning efforts.